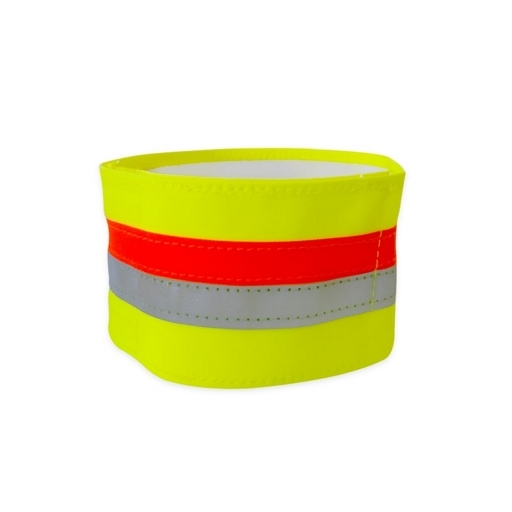 Bright yellow dog collar band with two large reflective stripes designed to be worn over the collar. The collar has a safe and easy adjustable velcro closing. 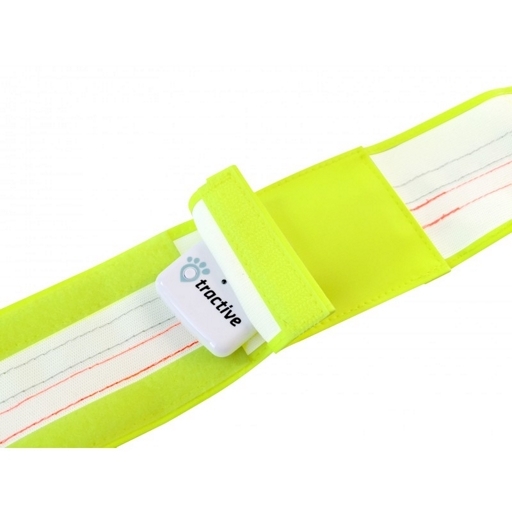 Simply put the reflective band over the dog collar, adjust it and close it. 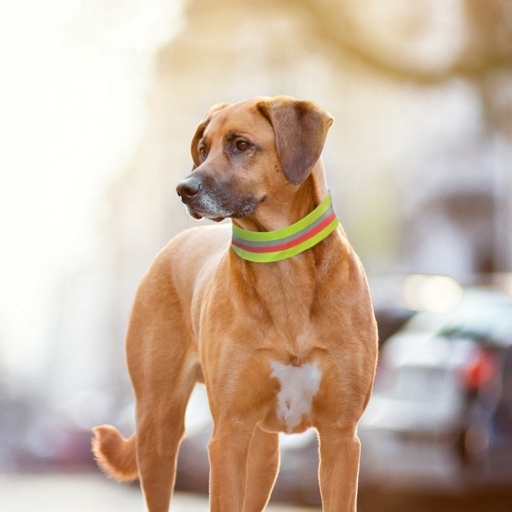 Now your dog is clearly visible and the Tractive GPS device is well protected. Simply measure around the dog's neck at the place where the dog's collar would naturally rest and add 10-15 cm for the velcro closure. When in doubt, it is safer to choose a larger size! * Basert på levering til Norway. Skattesatser for andre land vil bli kalkulert i kassen. Pris eks. m.v.a. : NOK180.00.